A man named Joe, who worked for the same roofing company for 25 years, fell through the skylight pictured above to his death. He was not wearing any fall protection and the skylight was not protected in any way. California's Fatality Assessment and Control Evaluation (FACE) put together this short video to honor Joe's life to remind us all that safety is not about statistics, but about real people who do not go home at the end of the day. 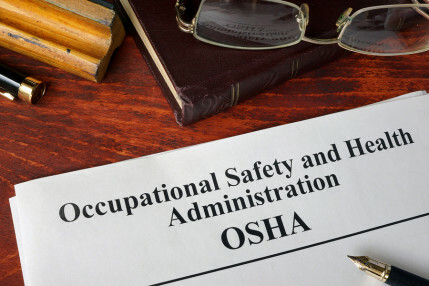 On average 16 people die at work every day in the United States. That number is too high! 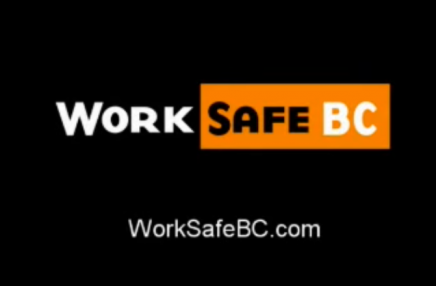 This video will inspire you to work safer in any environment, but especially on roofs, working around unprotected skylights. As the video points out there are several types of fall protection available for protecting skylights. 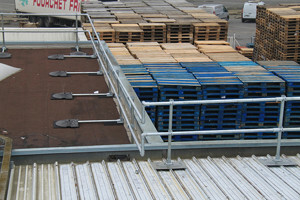 The most popular skyilight fall protection option is the skylight screen. 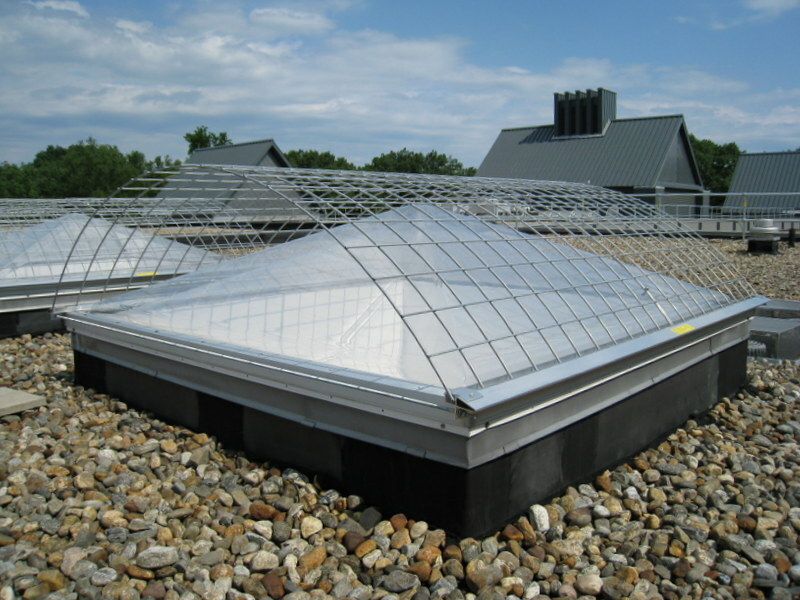 The skylight screen is designed to connect to the outside of the skylight and form a protective barrier when people trip or fall into the skylight. The screen will prevent the worker from falling through the skylight, saving their life and protecting them from a potentially fatal fall. Another option for protecting a skylight is to use a guardrail system that forms a protective boundary around the skylight screen. Skylight guardrail, like Kee Dome, is designed to be non-penetrating so it will not cause any problems with the roof. 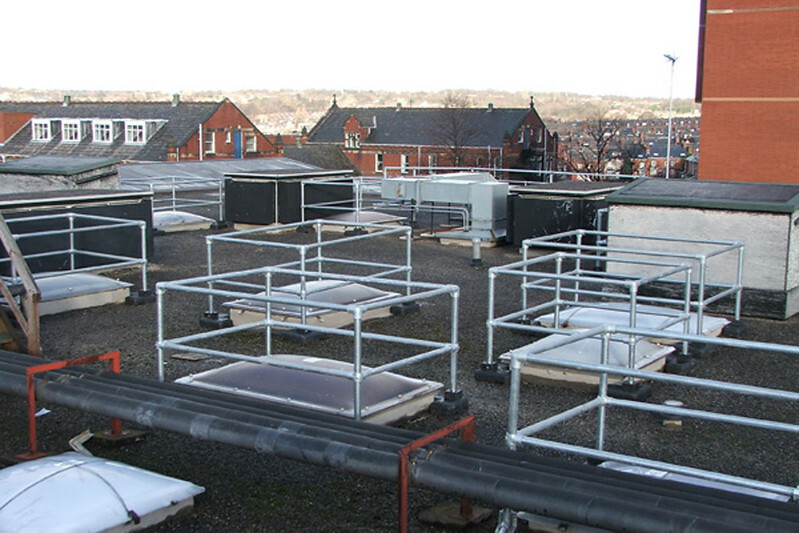 Further options, such as temporary weighted anchor points are available for the contractor who has to access the roof in many locations on a limited basis. Connect with our solutions team to learn more about skylight fall protection solutions.